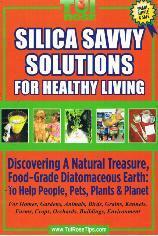 We sell Diatomaceous Earth at wholesale margins for both bulk & small orders. FOR GARDEN INSECTS: All you need is Diatomaceous Earth, and either an inexpensive Pest Pistol Powder Duster ($8.99) or the more heavy duty Dustin-Mizer Powder Duster ($34). For very large agricultural applications, most use the Hudson Bak-Pak Duster Sprayer ($319). For DRY APPLICATION of Diatomaceous Earth, use a duster and cover entire plant, apply to both top and bottom of leaf. For young plants, as little as two pounds per acre may be adequate. For larger plants, five lbs. per acre is probably sufficient. Diatomaceous Earth will need reapplication after a rain. Applies best when there is dew or after a light rain. It is a long lasting, effective powder. Insects cannot build up resistance or immunity to Diatomaceous Earth as they do with chemicals. DE can be sprayed or whitewashed by mixing 1 cup DE with 1/2 Gallon of water. Stir frequently and spray/paint trees, yards, and fences. Diatomaceous Earth will not harm earthworms or beneficial soil microorganisms. Wear a dust mask when applying large amounts. Otherwise, just avoid direct inhalation as when using baby powder or any fine powder. FOR HOUSESHOLD INSECTS: See our separate page for bed bugs. For household insects, ants, roaches, spiders, mites, fleas, flies etc, it’s best to have two inexpensive accessories for dispensing your diatomaceous earth. We suggest the Pest Pistol Powder Duster to puff the DE into crevices ($8.99), and our Plastic Shake Dispenser ($4.00). They are both refillable from the original container. Do not try to pour the DE into the dispensers from the orignal container. It doesn’t pour like sugar or sand. Best to use a spoon or scoop. For roaches and ants, you want to lay the DE out as you would would boric acid. Wherever the wall meets the floor, points of entry such as window sills, and in whatever places look great to hide in. All you need the bugs to do is walk through it. What makes Diatomaceous Earth superior for pest control is that boric acid acts through ingestion only. While ingestion is a small component of DE’s action, DE works just by getting onto the insect. It physically scatches the exoskeleton of the bug, and causes them to dyhydrate and die regardless of ingestion. DE is also entirely safe for people and pets to be around. In fact, many people and pets take DE in food or drink daily for better health! Earthworks Health Diatomaceous Earth is a natural, organic garden pest control and household insect killer. Diatomaceous Earth kills by physical action- not chemical. 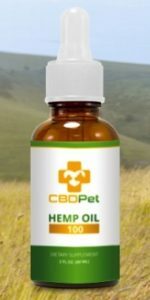 It is safe for pets and people. The tiny diatoms scratch off the insect’s waxy coating, and dehydrate it. Kill insects in the house or yard. Kill spiders, roaches, silverfish, ants, fire ants, carpenter ants, bedbugs, lice, mites, earwigs, flies, fleas, box elder bugs, crabs(std), pubic and hair lice, scorpions, crickets and harmful insects. Diatomaceous Earth is used in the home, yard, animal housing, etc. Sprinkle a 2 inch wide border around the foundation of your house to stop insects from entering. Safe organic garden pest control. Diatomaceous Earth is safe to earthworms and beneficial micro-organisms, and is also safe to people, pets and livestock. DE organically kills garden insects on huge farm crops as well as in home gardens. Just a reminder: Avoid direct inhalation of the dust as you would with baby powder. Food Grade Diatomaceous Earth Grain Storage: For Diatomaceous Earth Grain Storage, just add 7-10 lbs. of Diatomaceous Earth to each ton of stored grain as it is conveyed into the storage. When added to the conveyer for grain storage, Diatomaceous Earth Anti-Caking Agent not only helps grains flow better on the conveyer to the grain storage area, our Food Grade Diatomaceous Earth also organically kills bugs that are present and protects the grain storage from further insect invasions. Bugs can not become immune because they are killed by physical action, not chemical. * In order to claim that Perma-Guard DE kills insects, the EPA approved label needs to be on the bag. We sell both the EPA approved label bag and the Non EPA approved label bag. The only difference is the label—it is exactly the same product dug out of the same mine. You, of course, can buy either product—we just need to inform you that all claims of DE killing any type of insect applies ONLY to the EPA labeled 5# and 50# bag. * Any food grade diatomaceous earth uses other than those approved by the EPA, FDA, or USDA (such as human health benefits) are strictly anicdotal reports of what countless numbers of users as well as we ourselves have experienced with diatomaceous earth. We make no specific medical claims that the EPA, FDA or USDA have not approved. * Earthworks Diatomaceous Earth product is not registered to be used as a pesticide in the state of California. We can ship to California, but we just need to inform you it does not have an EPA approved label. Will DE kill frogs or snakes or other beneficial amphibians? No Jackie De will not harm them. The tiny hard and sharp diatoms scratch off the insects waxy coating, causing it to dehydrate. You can eat it yourself and use it on your dogs and cats… it is only harmful to insects. Gotta Love a great product like that! Hi. I purchased DE from our local feed and seed store. When I got home I noticed it was not a powder but sold as a feed additive. Can I crush this into a fine powder and use as mentioned above? Sarah… I am not sure what you bought. If it is not a powder. (looks like flour)…what does it look like? On this website we only talk about Food Grade Diatomaceous Earth….Until I know more about what you have I hesitate to reply… But I also would not suggesting eating it nor feeding it to any critters as a food additive.